Microsoft is in a giving mood, as it emerged this week that the company is planning to give every single employee a new Windows Phone 7 handset when the devices launch later this year. The news certainly puts the gifting of Xbox 360s to hundreds of games journalists at E3 2010 in perspective, with renowned Microsoft blogger Mary Jo Foley breaking the news on Twitter. Microsoft has been beavering away on Windows Phone 7 for a year and a half now and it should finally be ready for market in the coming months. The real question being, can it improve on the major disappointment that was Windows Mobile. If nothing else, it is both a wise PR move and a decent way of giving all of your employees an early Christmas bonus, to boot. It is estimated that the initiative will cost Microsoft in the region of $2-4 million, depending on costs. 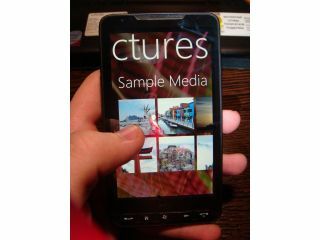 You can see what we thought of the first WP7 handset that we spend some time with recently over at our hands-on review.